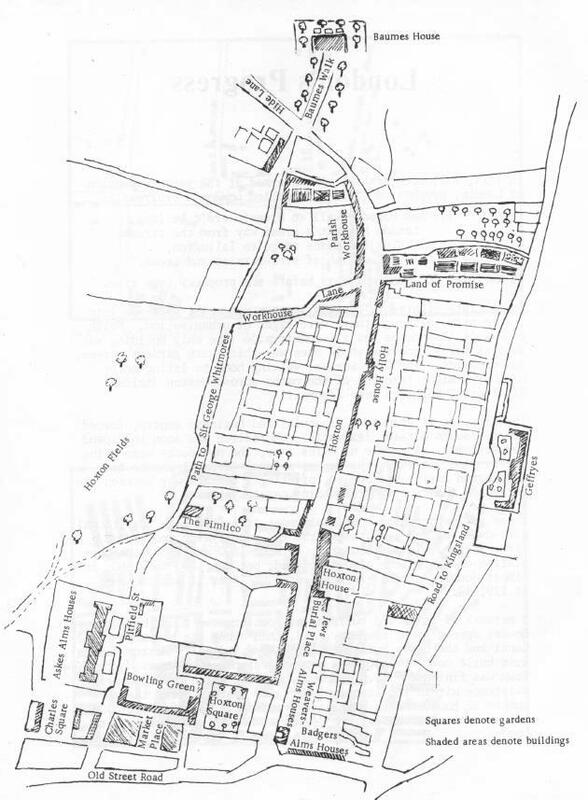 This sketch map of Hoxton Street and its neighbourhood was adapted by Lilian Billows from Roque's 1745 map of London, to show the sites of the madhouses and almshouses in the area. It is taken from Tis a Mad World at Hogson. A Short History of Hoxton, published by Hoxton Hall in 1974. James Parkinson lived at 1 Hoxton Square, which is the end house in the south west of the square. The short road leading out of the square on the north east is MundayStreet. The present 34 Hoxton Street, the only surviving part of Hoxton House asylum, was built on the site of the Jews Burial Ground. It may mark the southern limit of the asylum at its greatest extent. 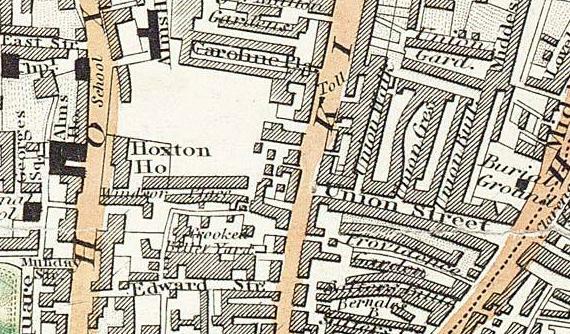 On this map, Hoxton House is shown as far north as The Pimlico, which is the site the Britannia Theatre was built on in 1858. The plaque for the Britannia Theatre is opposite 74 Hoxton Street. This section from Greenwood's 1830 map shows Holly House, the house owned by the Burrows family that was used by the Guardians of Shoreditch Workhouse. The workhouse is now St Leonard's Hospital. The "lane" on the other side of the road to Holly House is Ivy Lane, now Ivy Street. Part of Hare Walk survives. The Ironmongers Almshouse is now the Geffrye Museum. 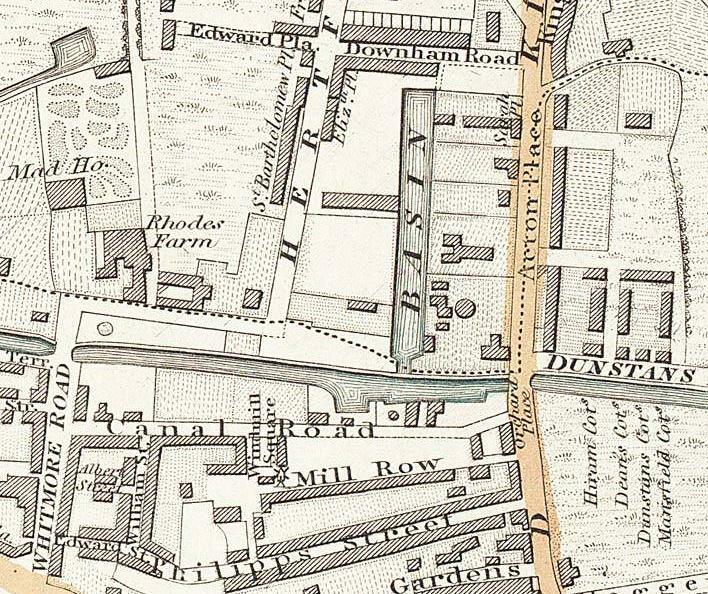 This section from Greenwood's 1830 map shows Hoxton House. Its is not far north of Mundy Street, the street leading from Hoxton Square.